How sharp are you on important childrens' health issues? Posted in General Health on March 6, 2011. Last modified on January 31, 2018. Read disclaimer. of your children's or grandchildren's health with these important questions (correct answer provided after each selection). 1. Parents should start cleaning their child's teeth as soon as the first tooth appears. Since primary teeth (often called baby teeth) are important for many reasons (for chewing, speaking, appearance and proper jaw development), they should be cared for. Plus, starting good dental hygeine at an early age helps children continue these good habits throughout their life. However, since an infants gums may be sore as baby teeth appear, it's best to wipe those first teeth daily with a clean, damp cloth. Switch to a small, soft toothbrush and only water as teeth until the age of 2. About that time, a child's ability to spit has developed so fluoride toothpaste can be used. 2. Children younger than age six should use enough toothpaste with fluoride to cover the toothbrush. Young children should use only a pea sized amount of fluoride toothpaste and they should always spit it out (not swallow it). This is because excess fluoride consumption in young children can cause dental fluorosis -- a condition where their later, permanent teeth are mottled with white spots. Since most toothpastes taste good, the temptation to swallow is great. To make certain children are brushing properly, spitting out, rather than swallowing their toothpaste, and rinsing well, children should be supervised when brushing. brush at least twice a day (but, to prevent possible gum damage, no more than 3 times a day). use a soft or extra-soft bristle brush and press lightly. by the time we have a full mouth of teeth, we should be brushing for at least 2 minutes, which is the minimum time needed for most of us to thoroughly clean our teeth. get a new toothbrush every 3 months or when the bristles start to flare. don't forget to floss daily, since flossing reaches areas that your toothbrush can't. For more toothbrushing tips and techniques, visit How to Take Care of Your Toothbrush and Brush Up on Healthy Teeth. By the way, HOW you brush your teeth matters. The modified Bass technique has been shown to significantly superior to regular tooth brushing when it comes to plaque removal. While permanent teeth usually start appearing around age 6 or 7, they will continue to come in through the teenage years and perhaps even into early adulthood. 3. On average, childhood vaccines are as much as 78% effective at preventing diseases. 4. Birth defects are the leading cause of death in children and teenagers. 5. Vaccines protect children against nine potentially serious diseases. 6. 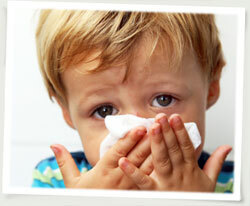 Kids should wash their hands vigorously for at least 20 seconds to remove germs. 7. For babies under six months old, sunscreen is the best defense against sunburn. 8. Children should get at least 20-30 minutes of physical activity on all or most days of the week. 9. By the age of 18, the average woman has acquired almost all of her skeletal bone mass. Durham, North Carolina: When it comes to mild or moderate depression, regular exercise may have comparable benefits to antidepressant medication, say researchers from Duke University. In a study published in the journal Psychosomatic Medicine, scientists divided 202 adults diagnosed with depression into four groups: one group engaged in aerobic exercise at home, one group exercised in a class setting, one group received antidepressant medication, and the fourth group received a placebo. After 16 weeks, 41% of the participants no longer met the criteria for major depressive disorder. In the class-exercise group, 45% achieved remission of depression; at-home exercise group, 40%; medication group, 47%; and the placebo group, 31%. Cleveland, Ohio: Researchers at The Cleveland Clinic found as HDL "good" cholesterol increased, the risk of cardiovascular events decreased. With each 1% increase in HDL, there was a 2% decrease in cardiovascular events. Scientists reanalyzed 143 retired military personnel who had been in the Armed Forces Regression Study to determine the cardiovascular outcome from the HDL raising therapy they received as part of the study. In the original study, they were given a combination of medication or placebos in addition to aggressive lifestyle changes (diet and exercise). Researchers assessed the participants based on the change in their HDL status: no increase, mild increase and large increase. They discovered that as HDL cholesterol went up, the risk of cardiovascular events went down. Storrs, Connecticut: North Americans may not be getting enough calcium in their diets, according to a study in a recent issue of the Journal of the American Dietetic Association. 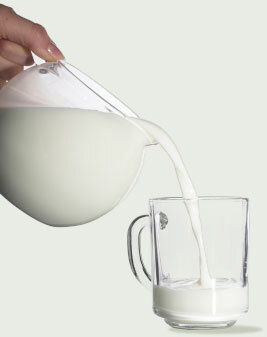 The study was unique in that it evaluated both dietary and supplemental sources of calcium and compared them to patterns in overall energy intake. Researchers from the University of Connecticut and Yale University analyzed data on 9,475 participants in the National Health and Nutrition Examination Survey. They found that self-reported calcium intake was highest among older age groups but still failed to meet the recommended amounts. Participants also "reported their energy intake; as people age, they eat less food and therefore get less calcium. Study authors found that 51% of individuals over 19 years old were taking a supplement. However, although supplement use increased with age, dietary calcium intake decreased.